While saving for retirement can seem like a daunting task and something that is years away, it’s important to start saving today. Everyone’s situation is different in terms of expenses, income age, and goals, but finding the amount you can save now is important. You have to look at it as an investment in your future instead of a cost in the present. Time goes quickly and you don’t want to wait. You don’t want to be unprepared for retirement. The younger you are, the more benefits you’ll achieve from saving for retirement. No matter your age, you are at this very moment, the youngest you’ll ever be again. The longer you delay, the less money and security you will have when you reach retirement. – You May Be Able to Retire Sooner. Who wouldn’t want to be able to retire sooner? You don’t know what your future holds. If you have a physically demanding job, it will be harder as you get older and you may not want to or be able to continue on as long as you may need to. If you save money earlier, you will be able to retire sooner if you should choose to. You will be able to reach financial independence earlier in life. According to a survey from MoneyRates.com, people who start saving in their 20’s are 66 percent more likely to be able to retire at age 60 than people who waited until their 30’s. No matter your age, now is the time to start saving because waiting will only hurt you. – Avoid Procrastinating. Saving as soon as possible builds good habits in all areas of your life. 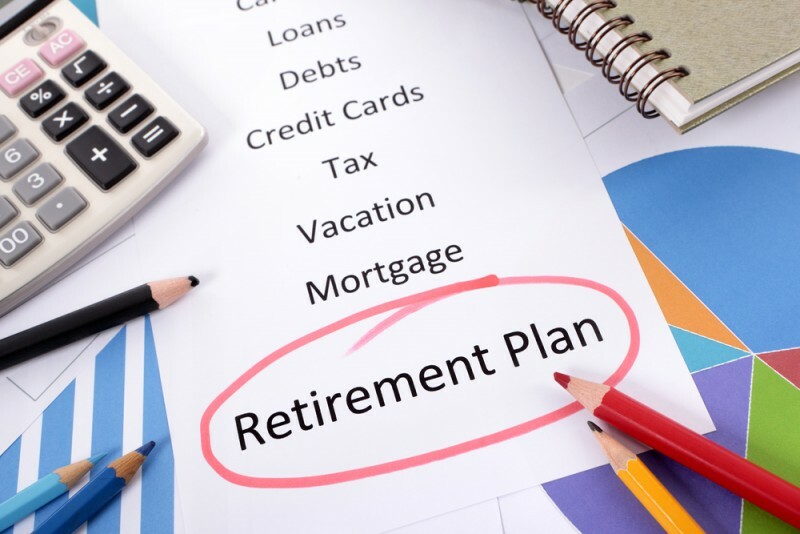 You’ll want to make sure you have a plan in place for retirement as well as other things that you want from your life. If you put it off saving for retirement now, who is to say how long you’ll keep putting it off? You may think you have plenty of time, but earlier is always better. Life is unpredictable. You never know what is going to happen. In another MoneyRates.com survey, only 52 percent started saving by age 40. – You Won’t Have to Burden Your Kids. Your children will want to make sure you’re taken care of and will help you if you need it. You don’t want to put that burden on them because you didn’t prepare for retirement. – Other sources are unreliable. According to the Social Security Board of Trustees, the trust funds for Social Security are going to run out in 2033. What this actually means is that someone that retires in 2033, this person will only receive about 75 percent of the payout they earned, unless something is changed. The retiring baby boomers and the slow economy are taking a toll on Society Security. Pensions are quickly becoming a thing of the past. Most employers no longer offer a pension plan. If they are still being offered, many plans are different and not as generous as they used to be. Since people are living longer, traditional pension plans aren’t able to support the additional years of retirement and the increasing health care costs. People will be relying on their own savings accounts and investments to provide for their retirements. A personal savings account is a great place to store money as you go along, but you may want to look at additional options that can gain additional money such as IRAs. – More Time=More Money. You’ve no doubt heard the phrase that “time is money.” Well, more time is more money! The effects of starting retirement savings as soon as possible makes a huge difference. For instance, assuming a 7% annual return, a person who invests $5,000 per year between age 25 and 35, will have $602,070 when retiring at age 65. Compare that to someone starting at age 35 through 65, who will only have $540,741. The longer you wait, the less you will have and the more you’ll have to make up for in your later years of working. The sooner you start, the better your chance will be at reaching your goals and a comfortable retirement. It’s possible to reach a million dollars if you invest $5,000 each year between 25 and 65. Saving for retirement is one of the most beneficial and responsible things that you can do for yourself, your family and for your future. You need to start now. Don’t put it off. You don’t want to risk not having sufficient money for retirement by waiting. Now is the time to seize the opportunity to prepare for the future.